The new U.S. $100 bills rolled off the presses in October 2013 and for savvy banknote collectors offered a potential goldmine. Where most people would see the 100 in the corner, the real value could be in the small eight digit number about an inch above the denomination. The serial number can be the difference between a normal $100 bill and $15,000 for those who know what to look for. The human minds attraction to patterns plays a large role in the value of the bills. Binary patterns of 1's and 0's are the most sought after serial numbers, and a bill with serial number of 00000001 could be worth up to $15,000. The first 100 printed are especially valuable and are treated differently according the the Bureau of Engraving and Printing. The bills are labeled and split up to different banks so not a single one will have too many valuable low bills. Some banks allow employees to pluck the a bill from the pile and replace it with their own. Vault employees and others working in jobs with close access to money are responsible for starting the collection process. Other valuable serial numbers can be patterns like 43214321, or solid numbers. Different serial numbers attract collectors for many reasons, in America 77777777 bills are popular while in China 88888888 bills are a symbol of good fortune and bought as gifts. One collector has an 07041776 bill, to represent the date of the signing of the Declaration of Independence and a 09112011 serial number. Collecting banknotes can be an expensive hobby, and isn't as widely known as coin collecting which is a popular pastime of many. Misprints, are also intriguing and are quite rare because they don't usually make there way into circulation. Rare bills can be the most expensive, especially if they passed through the hands of a well known figure. In 2012 this American treasury banknote appeared on an episode of Pawn Stars. It was valued at $7,000, far less than others on this list because there are more around today, about 150 of them are still in existence. 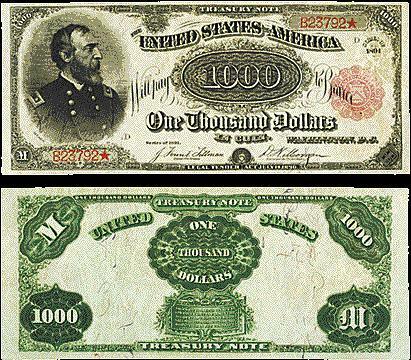 The 1918 series banknotes are considered collectable, with the $1000 denomination being the highest available currency to collect, $5,000 and $10,000 bills were issued but only exist in museums. Bills printed with a dollar sign are especially valuable, the most heavily circulated will sell for $8,000 but depending on serial number and condition they can go for $10,000 today. A 1929 100 pound banknote sold for $11,500 last December. The banknote was in near perfect uncirculated condition. 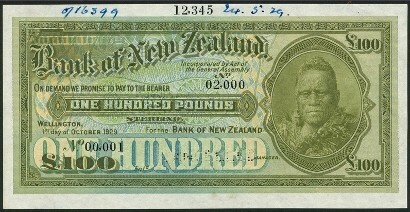 The first banknotes local to New Zealand weren't printed until 1967 and before that they were shipped over from Europe after the bank opened in 1930. The bill is one of the first New Zealand banknote printed, and has a portrait of Maori King Tawhiao. It has the handwritten date for the date of production, a cancellation and other annotations at the top, but in otherwise perfect shape and extremely rare. A rare 400 cash banknote is being auctioned off on April 14 at Stack's Bowers auction, with an opening bid of $60,000. The banknote will likely sell for more. It dates back to the first emperor of the Ming dynasty so was produced between 1368-1398. The banknote has a historical significance as well as a value for paper money collectors. The large format bill is only one of two examples of the currency, with the only other remaining note being held in a museum collection. One of the worlds nine one million pound banknotes was sold in 2011 at a specialized sale in London, England. It was printed August 30, 1948 under the post-war Marshall Plan to help the British economy. The notes were a part of a $300 million loan from the United States but were never legal tender. Most of the bills from the transaction were destroyed except the highest denominations and two million pound bills survived. 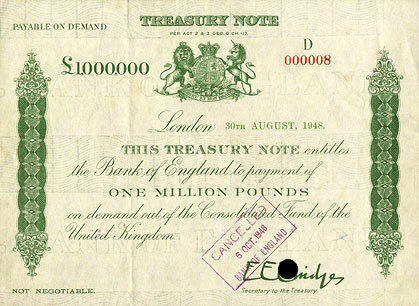 The bill sold was printed on the Bank of England watermarked paper and was used when the treasury needed to borrow funds from the Bank of England. The banknote was the subject of a 1954 movie starring Gregory Peck called The Million Pound Note. A 1928 $50 gold certificate was is valued at $120,000 and will sell at Heritage Auctions in April. Its one of the best examples of the note. Gold certificates were a way to invest in gold and represented an amount of gold owned. These notes were the early forms of paper currency and were recalled in 1933 under the Roosevelt government when it became illegal for the public to possess gold. The higher denominations of the notes were redeemed and are now rare. Only a dozen or so $50 gold certificates exist today. There is only a single bill left from the first printing of Australia's first paper currency issued in 1817. There were 100, 10 shilling notes printed the first day and not even the Bank of New South Wales had a copy in its collection. It was thought none had survived until 2005 when one popped up in a Scottish collection in good condition. It was thought the bill was added to the collection by the originator of the bank, Lachlan Macquarie himself. 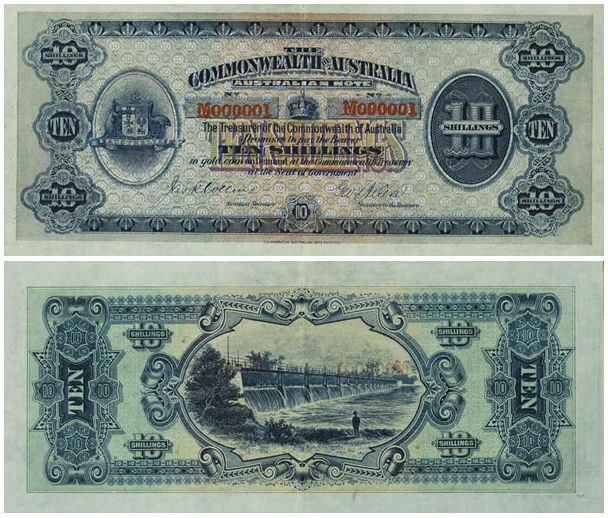 The banknote will be sold in a Sydney action and is valued at $226,000. A rare 1000 pound Australian banknote was sold in a public auction, setting a new world record for most expensive Australian banknote ever sold. The Rare Coin Company purchased the banknote but it changed hands again to a private collector who agreed to allow the company to exhibit the bill to the public under strict insurance and security arrangements. The bill is the only known 1000 pound note in public hands and previously hadn't been sold since 1998 where is got $86,000 before a controversy caused it to be seized by the Federal Police. The Bank of Australia claimed ownership, but relinquished it a short while later. 1000 pound bills were only circulated for a short time before they were restricted to internal affairs and exchanges between banks. A collection of early and rare U.S. banknotes was discovered in the back of a bankers drawer in mint condition. 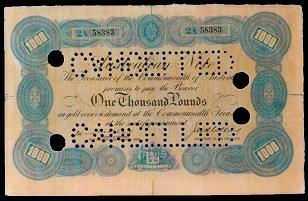 The notes date back to the 1800's and were once thought to be worthless are valued 1700 times there original worth. The collection is expected to sell for $5.7 million dollars but the rarest of the collection is a $500 gold certificate from 1882 which was among the very first bank notes printed in America. The notes are incredibly rare and a lucky find for them to be in such great condition so many years later. The 1891 Red Seal bill sold at auction for $2.5 million in Schaumburg in April 2013. According to CoinWeek, the bill set a new world record for a U.S. banknote sold at auction until it was beat by the 1890 Grand watermelon bill earlier this year. It was originally only expected to bring in $2 million. The Red Seal is only one of two thought to be in existence still today. The Red Seal last sold at auction in 1944 where it brought in a mere $1,350. The banknote has a portrait of United States General, George Meade. General Meade served in the civil war and became Commanding Officer of the Army of the Potomac and fought in many major battles throughout the war. The 1980 Grand Watermelon banknote sold for more than double the previous record for antique currency in 2006 when it was sold but the record was temporarily taken when the 1891 Red Seal bill sold last April. In January, the Grand Watermelon reclaimed its title as the most coveted antique currency when it brought in $3.2 million at an Orlando Auction. The bill is only one of two known to still be around, and it's the only available bill for collectors. The other is at the Federal Reserve Bank of San Francisco. The red seal Grand Watermelon note got its nickname for the appearance of stripes of green lines in the denomination number making it resemble the pattern of a watermelon.